There are many natural products that, we are told, are beneficial to our health; some do offer genuine advantages, while on others, the jury is still out. Among those that have been proven to help in a variety of ways is krill oil. Used in many medical treatments, krill oil has gained in popularity in recent times, as more users report positive effects. So, what is krill oil, where does it come from, and what should you know about it? 2 What is krill oil? 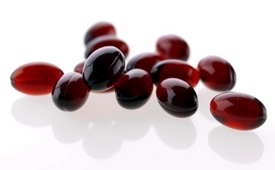 5 Should you take krill oil? Krill are very small creatures, similar in nature to shrimps, that live in the oceans, and they are a food source for many sea creatures including certain varieties of whale, and there are many different types of krill across the world. 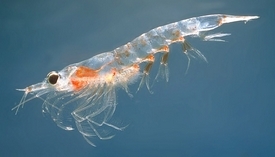 The type mainly used to produce krill oil is the Antarctic krill; this species can be found in plentiful numbers and is widely fished as it tends to swarm. The diminutive size of the creature means that large numbers are needed to produce the oil that is used for medicinal purposes. Krill oil is known to contain a number of important nutrients, among which are two very important ones: omega-3 fatty acids, and phospholipids-derived fatty acids (PLFA). These two constituents are what krill oil is all about. The human body requires many nutrients to enable healthy living, and it cannot be stressed just how vital these two are. 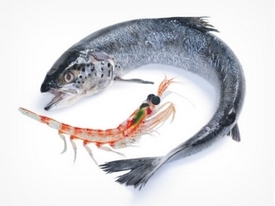 They are also found in fish oil – an alternative to krill oil that we shall talk about later. Basically, the nutrients mentioned help to keep the cells that make up the human body safe; they reinforce the cell membrane and, without getting into the complexities of the science involved, keep out the substances we do not want. Thus, one of the benefits of krill oil is to act as a protector of cells, and keep them healthy. The above are just a handful of the many benefits that have been reported by those investigating the effects of krill oil. It is interesting to note that only recently has the substance begun to be used for human consumption; fish oil has been marketed for many years, while fishing for krill has mainly been for commercial use. However, with more research into the substance promoting its benefits there is a clear rise in popularity of krill oil as a health additive. The benefits of krill oil in terms of health have been well documented, and a number of scientific studies have returned interesting results. One interesting area of research appears to prove that an intake of krill oil improves concentration. Many people have reported feeling much sharper when taking the additive, and there have been studies that show omega-3’s have a positive effect where Alzheimer’s disease and dementia are concerned. Furthermore, krill oil also includes a powerful anti-oxidant known as astaxanthin; this acts as a cleansing agent, so to speak, as it combats the damaging substances that build up in the body and affect our mind and physical well-being. Further to the increase in concentration, krill oil has also been reported to give a boost in terms of energy levels; users have reported feeling much more energetic and enthusiastic when taking the oil, which should be considered no surprise given the presence of the important substances we have already mentioned. Furthermore, benefits to the efficient operation of the liver, reports of cleaner and healthier skin, and many more added advantages have also been linked to an intake of krill oil. Fish oil has long been a favorite health additive thanks to its own constituent of Omega-3 fatty acids, so what are the added benefits of krill oil, if there are any to be seen? In fact, studies have been carried out in which krill oil was tested against fish oil, with patients taking one or the other and the results being monitored. One such trial involved a month-long test in which patients were given either krill oil, fish oil or olive oil. The effects on blood plasma, an important aspect in general health and the immune system, showed that half the dosage of krill oil, compared to fish oil, was required to achieve the same results in some areas, implying that krill oil is more effective as a health additive than that derived from fish. Other tests, again applied randomly, have shown similar results, hence it is recognized that krill oil certainly does have important health benefits. Should you take krill oil? As a natural health additive krill oil has been proven to have many benefits, as we have outlined above; in addition to those mentioned it is taken by people with arthritis to reduce inflammation and pain, and for patients with high cholesterol levels krill oil has been shown to be more effective than fish oil by a considerable degree. As with all medicines – natural or otherwise – there are some people for whom it is not recommended, but it appears to be one such additive that has few – if any – harmful side effects. One important factor is that those with seafood allergies should not take krill oil. On the whole, the scientific studies have proven that krill oil is a genuine aid to overall health, in particular for those with the ailments and symptoms we have covered. Anyone with concerns about the ecological effects of krill fishing should be aware that there are strict measures in place to ensure the sustainability of the creatures, such is its importance to the ecosystem. The stringent regulations and strict rules surrounding krill fishery are considered to be among the very best in the field and, fishing is overseen on a regular basis by the relevant bodies. Should you be taking krill oil? The results of various studies have shown, quite clearly, that the many benefits of this fascinating and readily available supplement are very real indeed, so why not give it a go and see if you benefit in the same way? 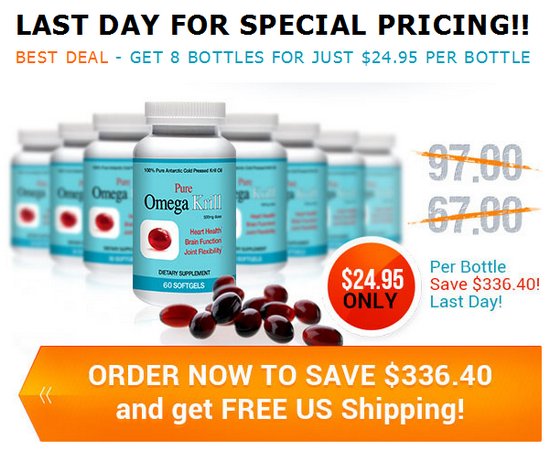 The best krill oil we found is Pure Omega Krill Oil. This is the brand most dietitians and nutritionists recommend.